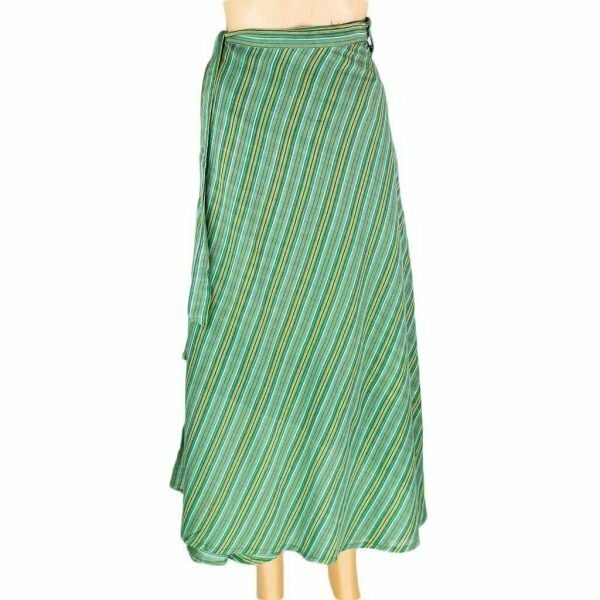 Wrap yourself with this super comfy and lightweight cotton wrapper skirt. 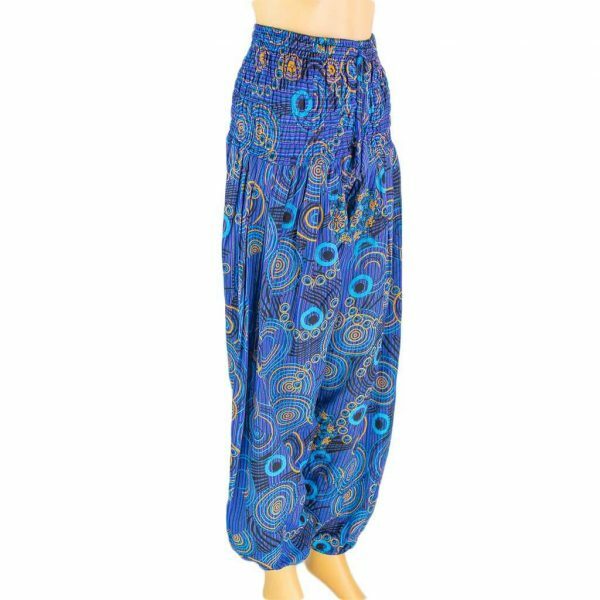 It comes with a belt for your waist support and measures full length. The colors and patterns used are unique and distinctive. 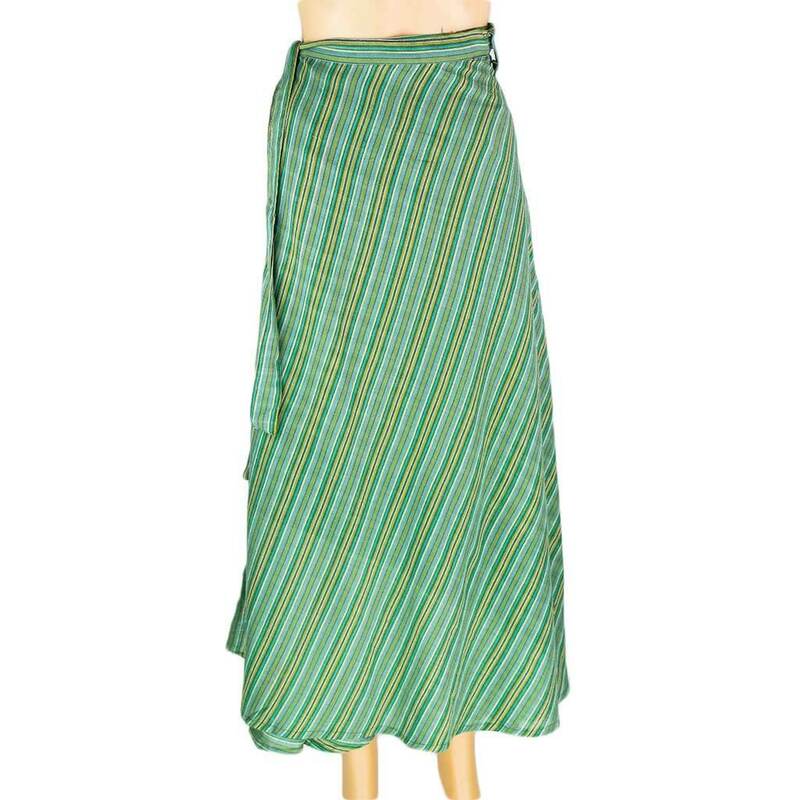 Use it on a holiday, festival, travel or on any casual day out. 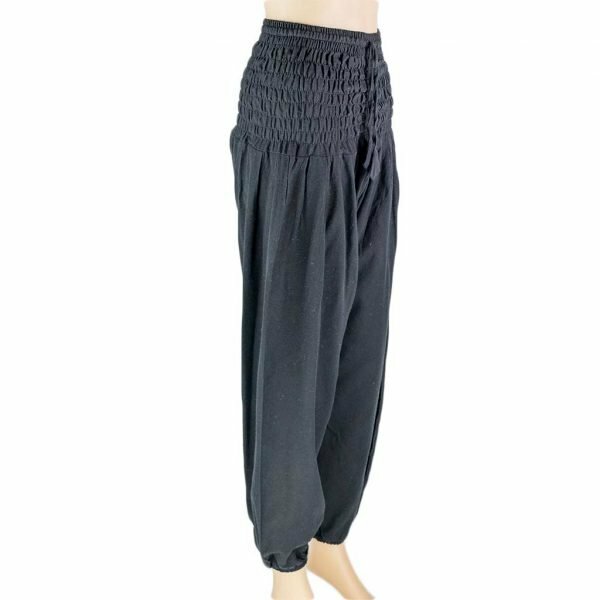 Plain harem pants comes with smocked waist and drawstrings making it more stretchable. That is why it is one size fits all. These are 100% cotton purely handmade and wonderfully comfortable. Printed gypsy pants are handmade cotton pants made in Nepal. These are outrageously comfortable with smocked waist and drawstring. 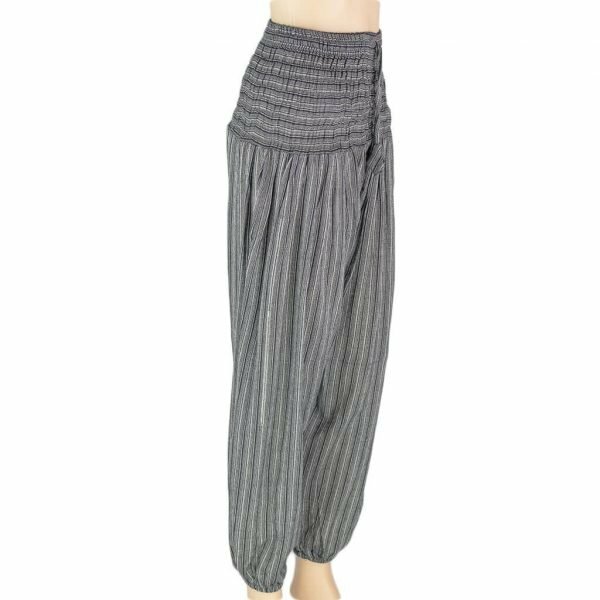 It can be used for yoga, exercise, gym, or any other purpose. 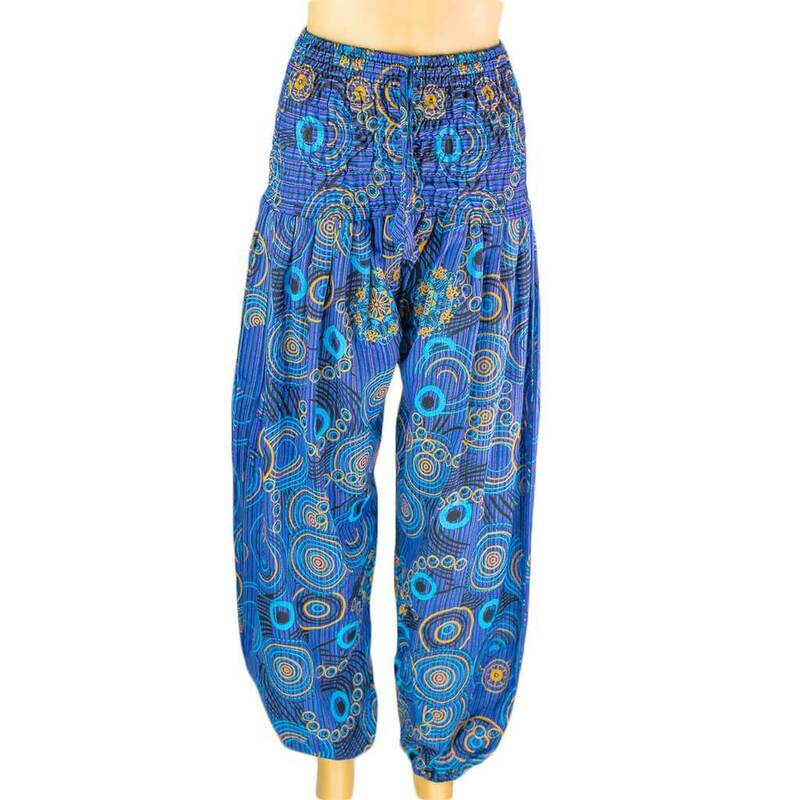 Since handmade there might be slight changes in the patterns. 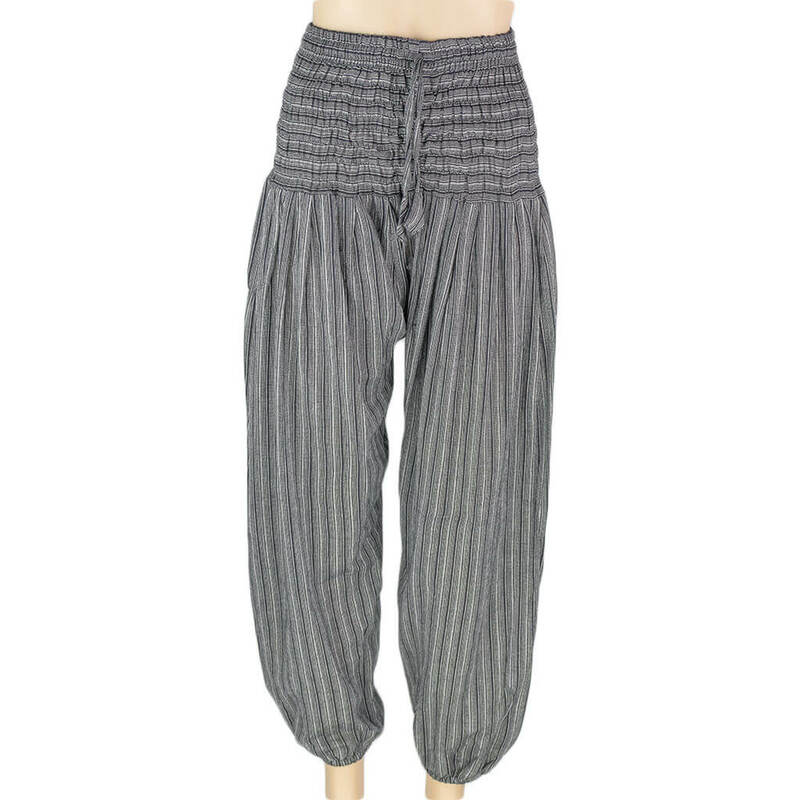 Striped harem pants are simple, colorful and most of all, outrageously comfortable. 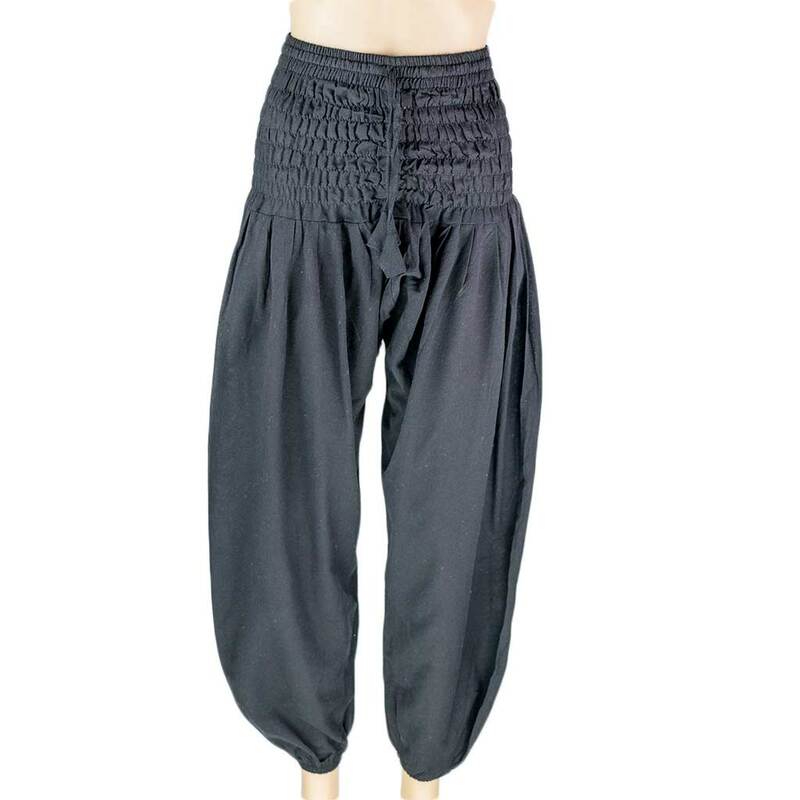 Suitable for men and women, these are 100% cotton with smocked waist and drawstring. Available in six different colors. 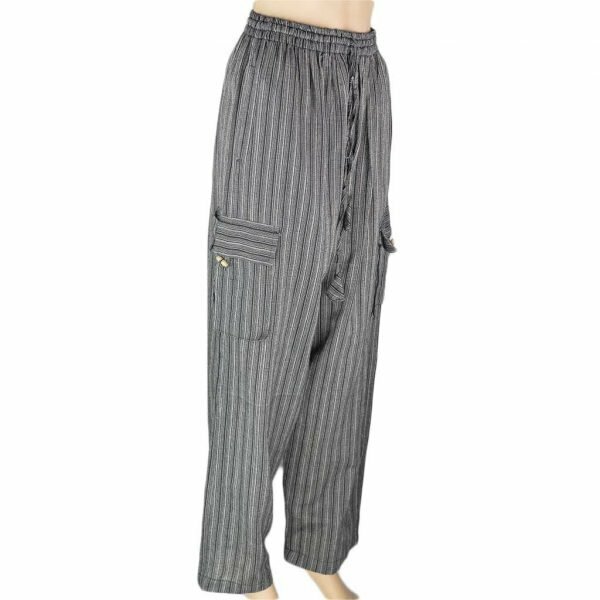 Stripe box pants are made from a lightweight cotton in classic Nepalese lounge pants style. 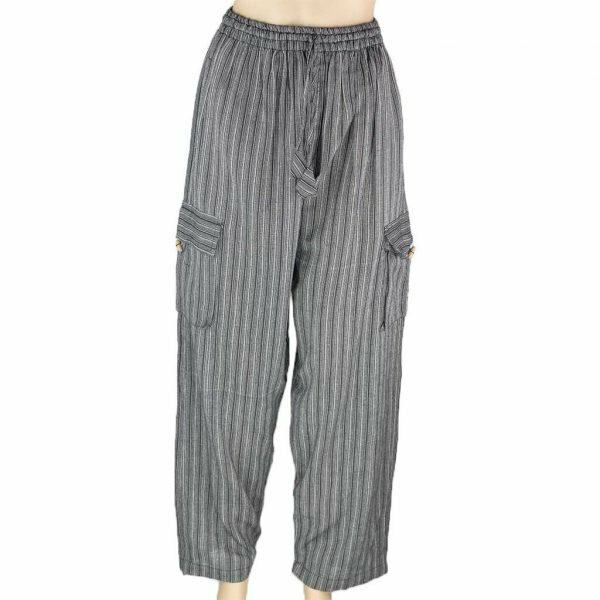 Featuring hip pockets, cargo pockets and an elasticated waist, it is very comfortable and can be worn by both males and females.